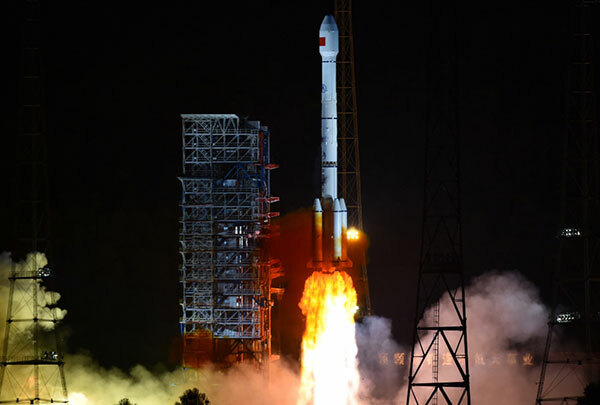 China has launched its first geostationary satellite for the BeiDou constellation, according to press reports. The successful launch of satellite G1Q took place at 15:57 UTC on Nov. 1 from the LC2 Launch Complex of the Xichang Satellite Launch Center, Sichuan province, using a Long March-3B/G2 (Chang Zheng-3B/G2) launch vehicle. Beidou-3G satellites are the geostationary Earth orbit (GEO) component of the third phase of the Chinese Beidou satellite navigation system. The GEO satellites will be in high orbit, about 36,000 kilometers above the Earth, following the Earth’s rotation to view the same point on Earth continuously. In addition to navigation services, the satellite will serve as a satellite-based augmentation system (SBAS) and provide short message services (Research Data Shared Service, RDSS). The G1Q satellite is the 17th BeiDou-3 satellite and the 41st overall BeiDou satellite. Another pair of BeiDou-3 medium Earth orbit (MEO) satellites, M17 and M18, will be launched in mid-November. The recent BeiDou launches will expand the system to global navigation coverage. The G1Q satellite is based on the DFH-3B bus that features a phased array antenna for navigation signals and a laser retroreflector, and also is equipped with an apogee propulsion system for final orbit insertion. The satellite has a launch mass of about 4,600 kg.